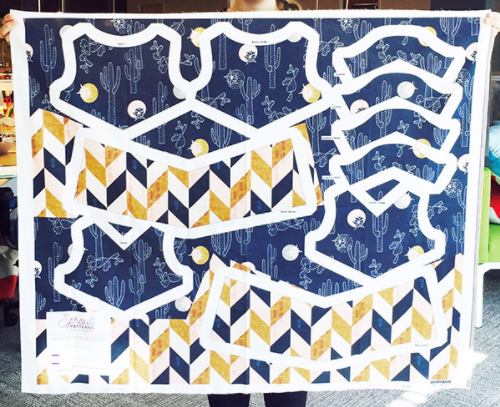 A while back, Spoonflower integrated with Sprout, a company that will sell you fabric custom printed with pattern pieces. 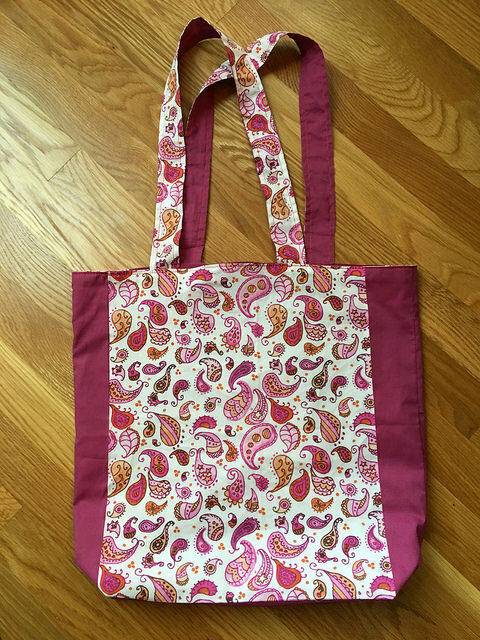 You can buy simple patterns like this tote bag, or more complicated dresses, jackets, and so on. 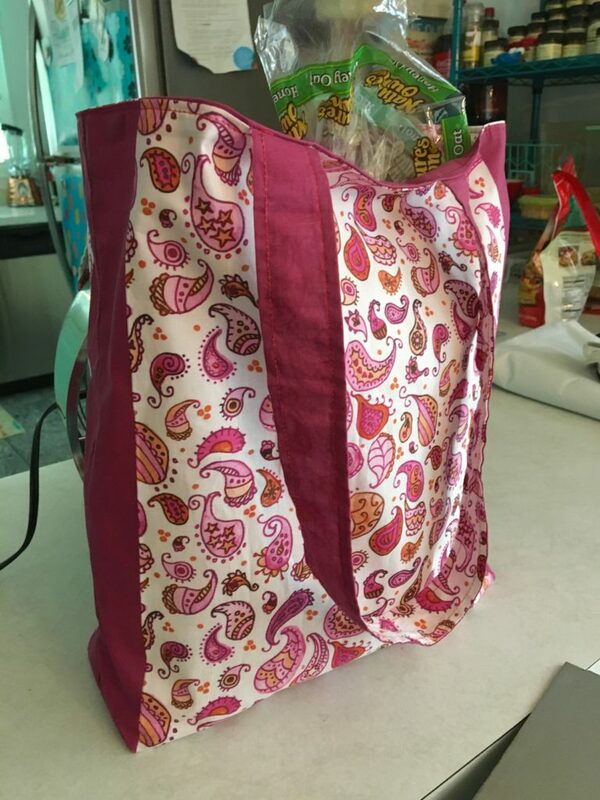 I decided to try Sprout with a simple tote bag, using one of my fabric designs. Customizing a pattern on Sprout. Looking through my designs, I chose my newest one, Watercolor Pink Paisley. 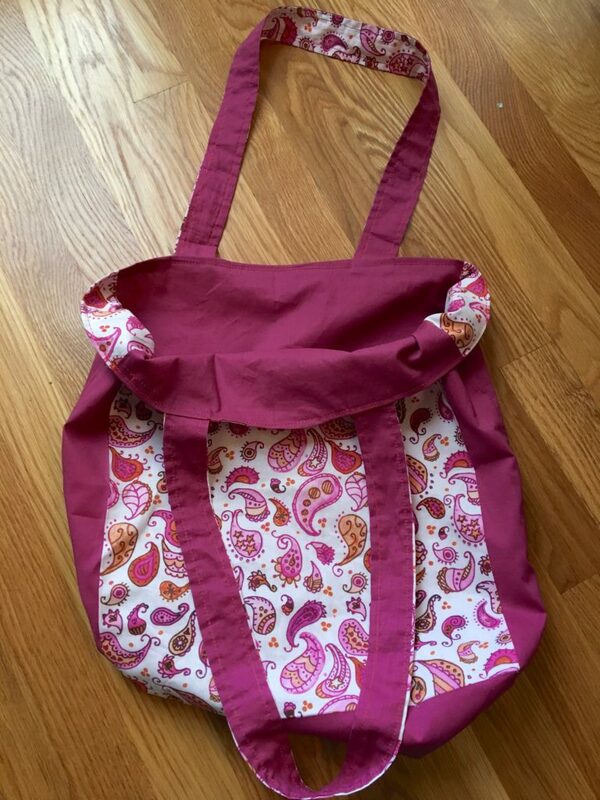 At Sprout, I chose the Everyday Tote pattern, and clicked the “Create Your Own” button. To select a design, click the turquoise button with the plus and choose the design you like. You don’t have to create your own design if you don’t want to; you can search throughout the entire Spoonflower marketplace, or the designs you’ve marked as favorites, or designers you follow. Selecting the designs you want to use. You can choose multiple designs if you like. Once you’ve chosen your designs, you can also go back to the pattern page and select solid colors if necessary. I did this for mine. Once you have the pattern customized the way you like it, just order. When the order arrives, it will be a piece of fabric (one yard, in this case) with the pattern pieces printed on it. 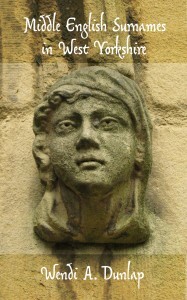 The instructions are in PDF form, and you download those from your account on Sprout. This is an example of a clothing pattern printed by Sprout. It’s a little more complicated than the tote bag. I’m really happy with how it turned out. It’s fun to have a 3-dimensional, useful object with fabric featuring a design I painted in my sketch book a few weeks ago! 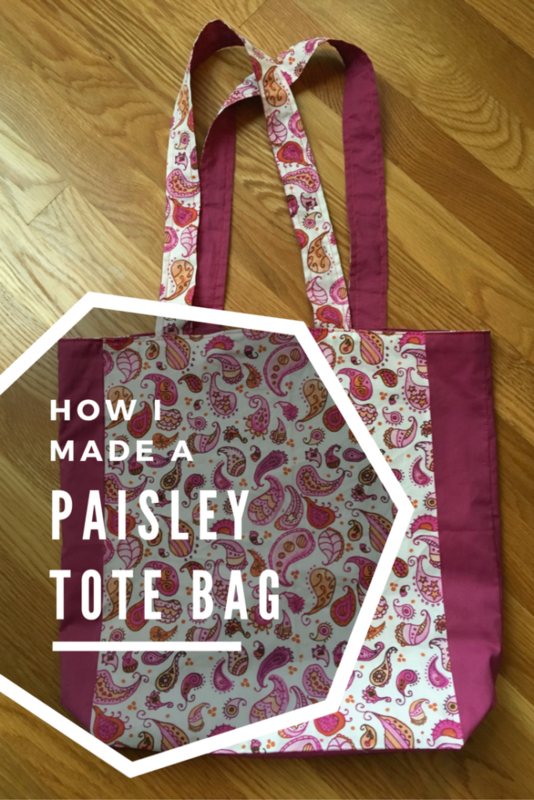 If you like this design, you can get your own copy of this paisley tote bag here.